B vitamins are actually a group of water soluble vitamins vital for our health care and nutrition. B vitamins are earlier believed to be a single nutrient and were associated with fermentation, yeast, liver and rice. Later it was discovered that these food products contain a number of vitamins. Erroneously they were believed to be related to each other and grouped as vitamin B complex and given distinctive numbers. Vitamins B1, B2, B3, B5, B6, B7, B9 and B12 are the eight vitamins together called as vitamin B complex. B vitamins are very essential for various body functions like growth and development, metabolism, disease resistance and immunity, enzymatic activities, metabolism of amino acids, cell division and energy production. Vitamin B1 (also called thiamine) and vitamin B2 (riboflavin), working in different paths, help in energy production and also affect the enzyme activities in muscular and nervous systems. Vitamin B3 is named niacin and it helps in the maintenance of health of digestive system, nervous system and epithelial cells. It also has an important function in production of energy in the body cells. Vitamin B5 (pantothenic acid) is essential for the normal growth and development of the human body. Vitamin B6 (pyridoxine) maintains the nervous system and the immune system healthy. It also keeps up the health of the red blood corpuscles and helps in the metabolism of protein and its derivatives. Vitamin B7 (biotin) has an essential role in the metabolism of carbohydrates and proteins and in the production of hormones. Vitamin B9 (folic acid) is essential for DNA synthesis, production of the red blood corpuscles and for the healthy formation of the nervous tissue in the foetus. Vitamin B12 (cobalamine) helps in healthy growth and proper development of nervous and circulatory systems. 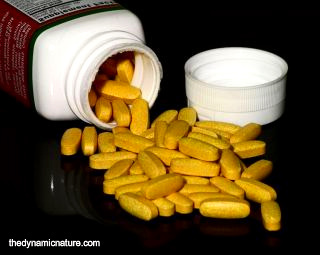 B vitamins being water soluble, in excess, are continuously lost from the human body in the urine and generally no reserve is built up in the body. Loss of appetite, general tiredness, muscle cramps and pains, lung infections, poor growth, birth defects in new born, pain in the abdomen and physical and mental debility are some of the symptoms of deficiency of B vitamins. Pregnant women and nursing women require more of the B vitamin, Folic acid, for the proper growth of the nervous system of the infant. B vitamins are present in considerable quantities in whole cereals, fruits, vegetables, fish liver oils, meat and meat products, fish and shell-fish. Certain of the B vitamins are also synthesised by the intestinal bacteria. Those who are on antibiotics are advised to take vitamin B complex supplements as their intestinal bacteria gets killed by the antibiotics. Due to assimilation problems persons over fifty years of age are advised to take B vitamin supplements. Copyright @ 2017 www.thedynamicnature.com All rights reserved.